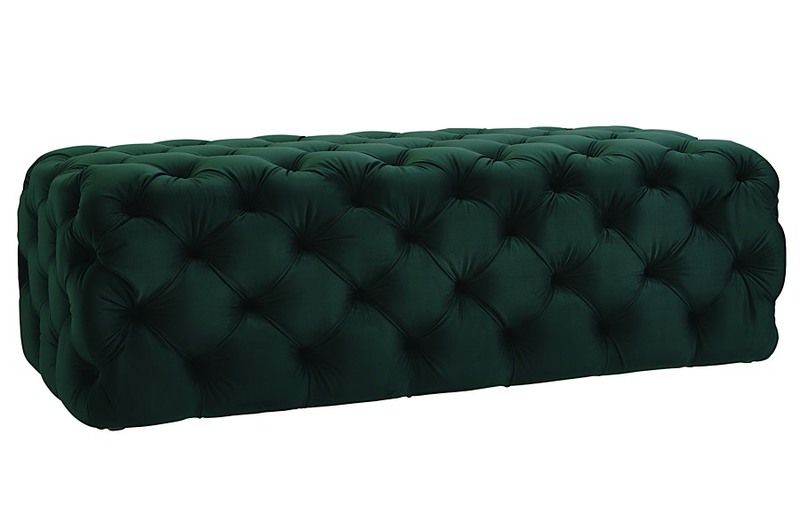 The supremely soft upholstery and endlessly deep tufting of our Kaylee Jumbo Ottoman will take center stage in any room. 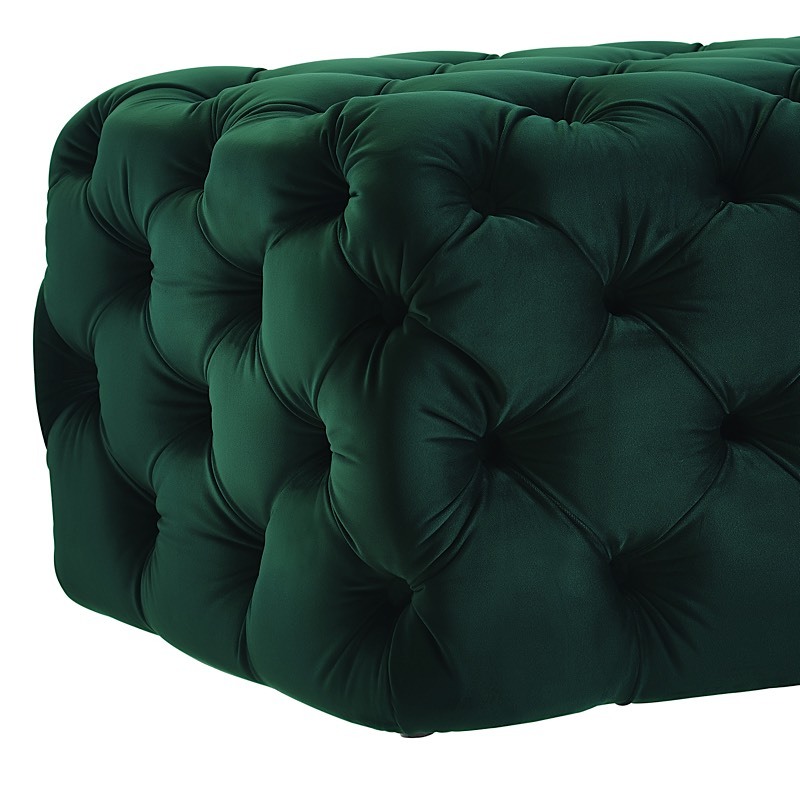 The deep button tufts and solid wood frame of this green velvet ottoman present style and comfort that everyone will enjoy. 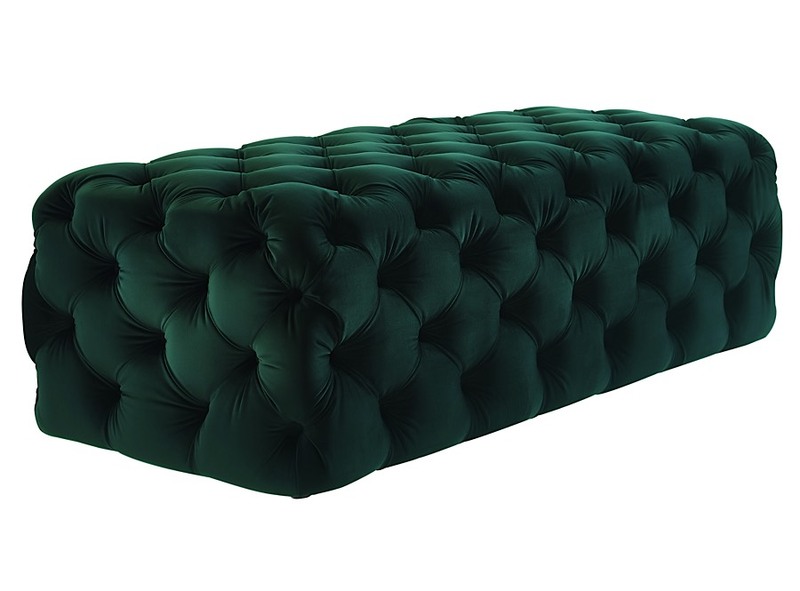 Available in blue, grey, green and black velvet options. 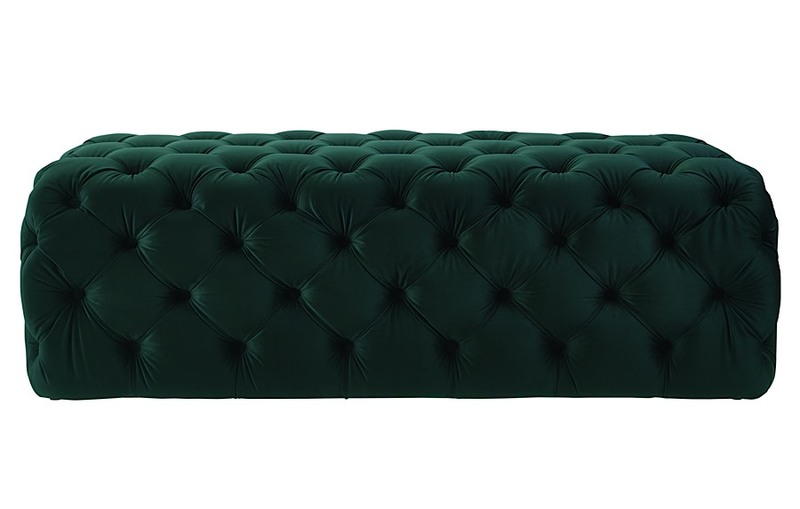 Kaylee is handmade by skilled furniture craftsmen with a solid kiln-dried wood frame with button tufting on all sides (except the bottom). Minor assembly required.